It happens quite often that one needs to make lists of something. For example, a list of food items to be bought, a list of papers required for receiving some document, a list of items to bring along to picnic or conference. There is a large number of list variants and, in reality, we make them using a piece of paper and our own brain. However, the sands are running out, so we offer you this application for list making and maintaining. 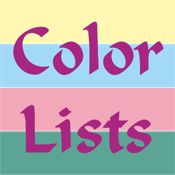 Also, you can mark lists out with different colors using color diagrams.